Welcome To the Chamber, Sims and Kershaw Realty! We are a woman-owned real estate firm based in the Raleigh-Durham market with a mission to create a lasting and sustainable footprint in our local economy. One of the ways we obtain this footprint is by creating meaningful and lasting relationships within the local community and providing top-notch service and valuable continual education to our agents, vendor partners and clients. As a company we have 20+ years of not only real estate experience but we have extensive knowledge in a variety of other professions providing us with a unique opportunity to connect on any level within our marketplace. As a client of Sims & Kershaw Realty, you will see that our agents are driven professionals who are committed to building their business with integrity, client-centered practices and a heart for educating their clients. Our agents put the needs of each client at the forefront. Whether you need help organizing your move, finding the best schools for your child, or just want to know where the best restaurants are in the area, our agents will be right there by your side. You are not just another deal or transaction at Sims & Kershaw Realty, you are family. Mission to our clients: We believe that information and knowledge are the ultimate keys to any successful real estate endeavor. Our mission is to provide our clients the keys to success by providing continual education, superior service, and an open door of communication. 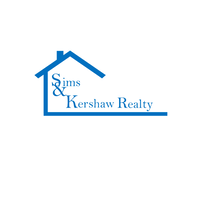 As a client of Sims & Kershaw Realty, you will see that our agents are driven professionals committed to building their business with integrity through client-centered practices and a dedication to educating their clients every step of the way.